Global Recognition:If you work with international clients or companies who have a global presence, a PMI certification is now recognized as meeting international standards and requirements. Hiring PMP-certified consultants is now especially beneficial to global organizations because they can reference the ISO 17024 certification. This internationally recognized accreditation is recognized by the global business community and often leads to better career opportunities to someone who is PMP certified. Relatively Better Salaries: According to the Project Management Institute (PMI), the average annual salary for PMP® certified Project Managers in the U.S. is $111,800, almost $14,000 more than the salary of those without PMP® certification.Managers who hold the PMP certification also often make more money than non-certified project managers. 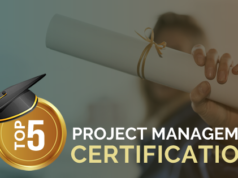 Attaining a project management certification is hard work, and many experienced project managers do not have the time for this, so it is not a rule that all experienced project managers must get certified. However, many organizations do pay for their employees to get formally certified, so you may not have to pay for the training and exam yourself. It can be an advantage at the time of appraisals. Increase the Chance of your Resume: Many employers now require candidates to have a PMP certification. Having the certification just makes finding a job that much easier. If you have this qualification, list it right at the top of your resume, next to your name. Don’t hide it further down. Potential employers only need a few seconds to look at a resume to decide whether the candidate is a right fit for the job or not. These three letters make it clear that you are different to the rest. Establishes Credibility: Obtaining a Project Manager Professional (PMP) certification requires that you meet specific eligibility criteria required for the certification. In addition to taking a test, you must also have three to five years of experience (depending on your educational background) as a project manager and have accumulated 4,500 to 7,500 hours leading or managing projects. This is mandatory information required to be filled in the application form and is subjected for an audit. Growth in Career Prospects: When you are working as a dedicated professional, then it is quite important that you would like to boost your career. If you have been working as a project manager and want to enhance your career prospects, then PMP is the right choice. 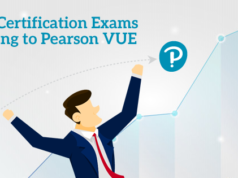 Earning PMP certification adds value to your CV. You can show to prospective employers how serious you are for your career.During PMI meetings you can often find out about fresh career opportunities from members who appreciate the importance of PMP certification; these meetings often have time allotted for people to stand up and share any job opportunities that are available at their organizations.. Improved Project Management Skills: Project Managers often experience improved skills and knowledge after obtaining PMP credentials. This certification if practised in real life can be proved to be helpful. 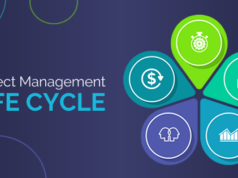 You learn other better ways of managing projects, which are different than what you practice in your day to day project management. It would manage to help you structure all knowledge in a logical framework; make you aware of certain tools which can help in better planning or controlling of your projects. Formal Academic Education: PDUs can be earned by completing an academic course related to the discipline of Project Management. Professional Activities and Self-directed Learning:This category includes activities like writing articles, books and speaking on project management concepts. PMI Registered Education Providers:Training attended at PMI Registered Education Providers (REPs) can be used to earn PDUs. Other Providers: Training on the discipline of Project Management provided by other organizations (non-REPs) also qualifies for earning PDUs. Voluntary Service: Serve as committee member at a Project Management organization. Preparing for PMP® Certification? Pass in 1st attempt through Whizlabs PMP Self Study Training Course! Start with Free Trial !